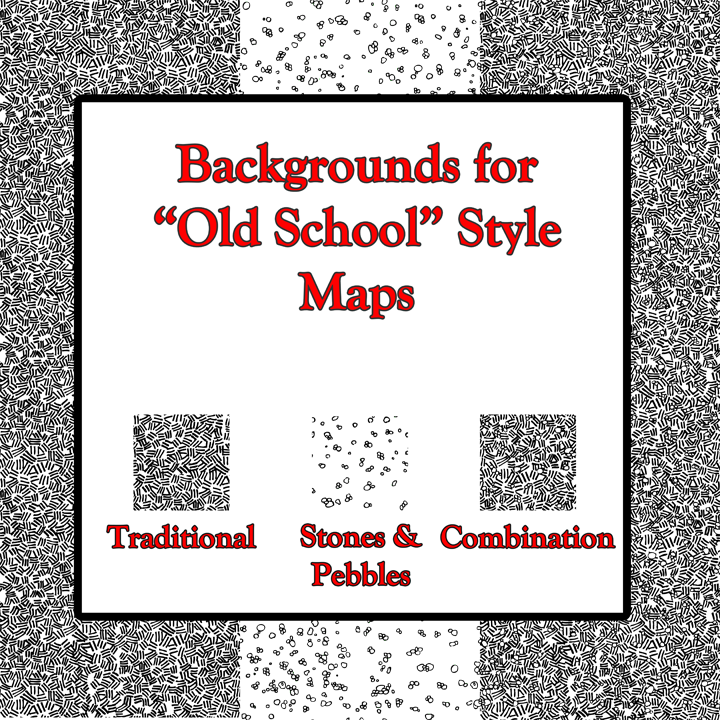 Backgrounds for "Old School" Style Maps is intended to allow a GM to spend more time making the "fun" parts of a map and less time with the tedious background. In my opinion it is really just two different backgrounds and a bonus of adding the two together to create a third background. Some hand-drawn hatching and stones were sketched and then scanned. After some clean-up they were turned into large (15" square) seamless tiles and saved as 300 DPI PNG files. I could have gone with smaller tiles and even saved the format as a vector graphic (EPS or AI), but then the average user would have to convert the files before use. With a 15" tile I don't think most users will need to do that work, but the option for larger sizes is possible. 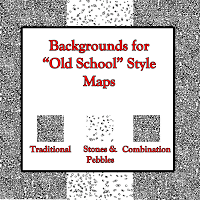 I could also see some wanting to resize the Stones & Pebbles background to a smaller size and then laying over the original size to create a greater depth of rock & sand. This is all easily done with free editing software, like GIMP. Hopefully GMs will find this a useful product.